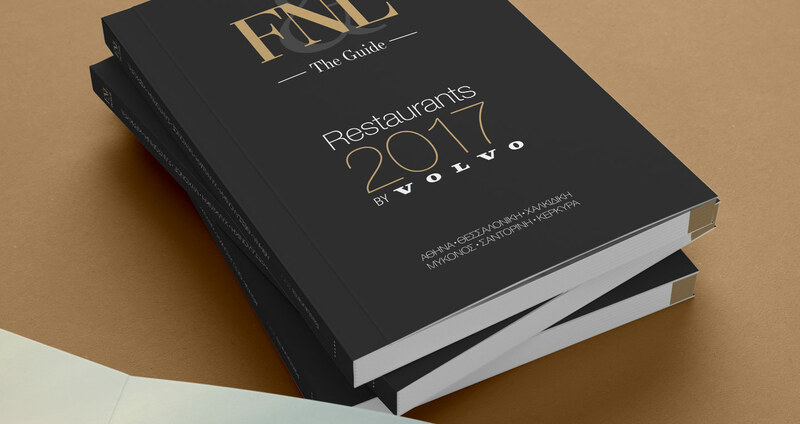 The FNL Guide is a gastronomy portal startup company, one we hold very close to our hearts because we have been involved in its evolution from the start, when it didn't even have a name. 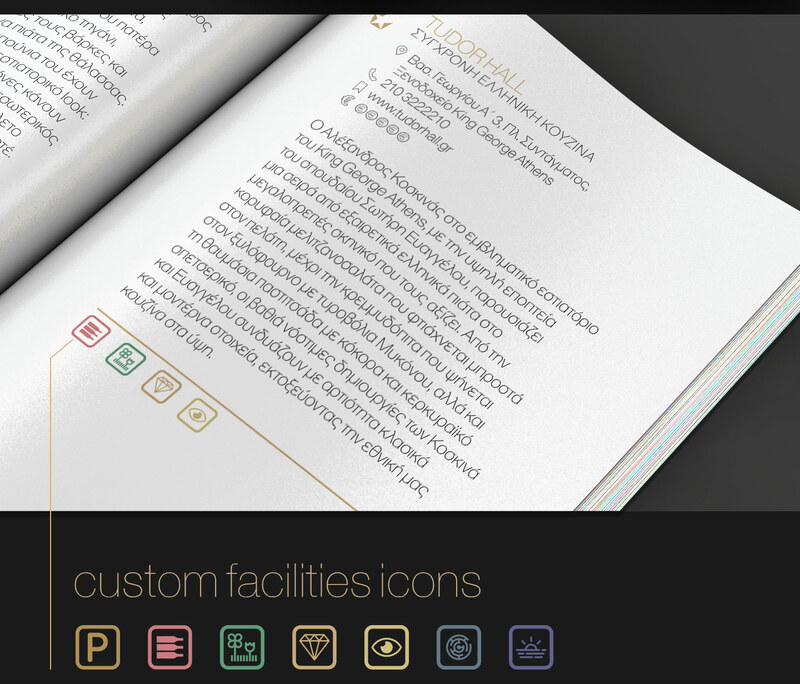 We have worked closely with the FNL team on their branding, brand strategy, online tools and digital marketing for almost three years and we are proud that it has flourished into one of the main influencers in its field, and has unanimously been accepted as a key standard of quality and know-how. 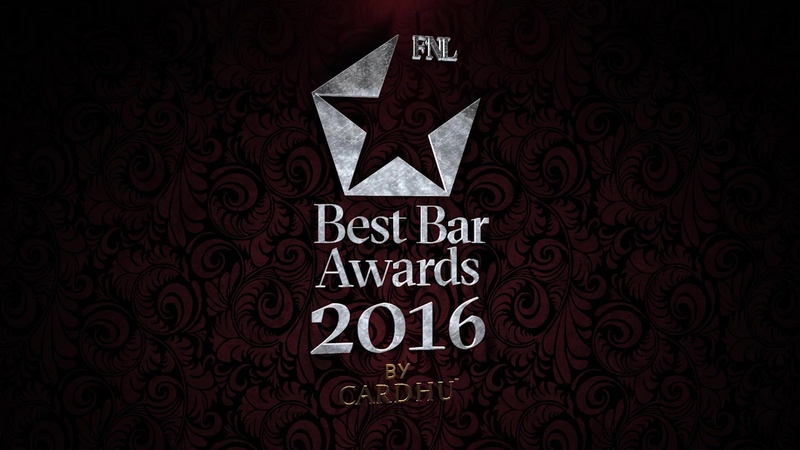 What started as an online portal of gastronomy and good living has now evolved into an institution that organizes specialized excursions and events and even boasts its own quality scale (FNL Star) and annual Restaurant and Bar Awards. 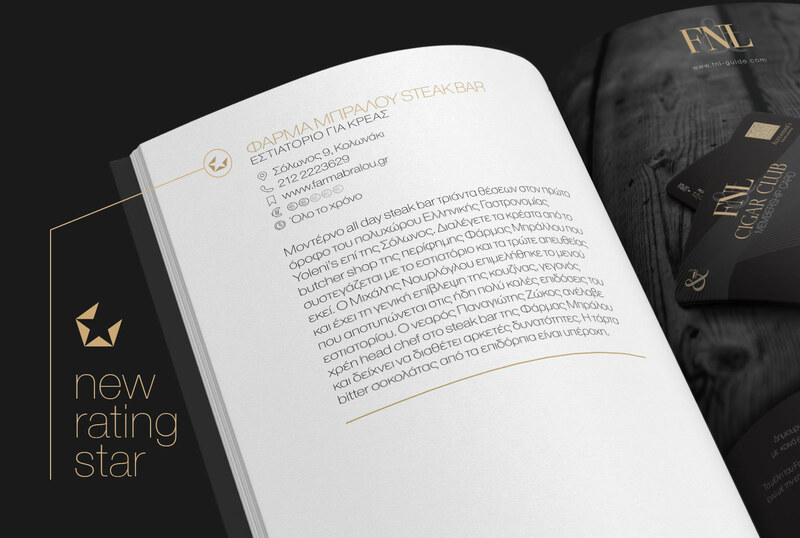 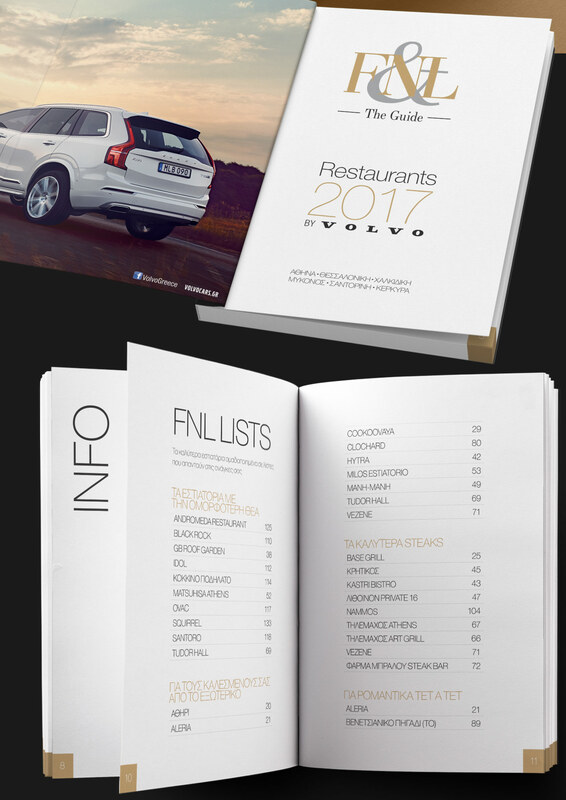 The FNL Restaurant Guide for 2017 is a collection of the best places in select geographical regions of Greece that have been awarded with one or more FNL stars.